Brad Jones Racing has unveiled the colours in which Macauley Jones will compete as a wildcard in the CrownBet Darwin Triple Crown. For the second-straight year, Jones’ #4 entry will be supported by Queensland-based mining services company DrillPro. 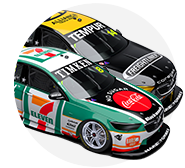 As was the case in 2017, the deal includes Jones’ Dunlop Super2 Series entry being backed by DrillPro at next month’s Townsville round. “It’s fantastic to have the continued support from John and Donna at DrillPro and their team,” said Jones. “They have supported me for many years now and get a real thrill seeing the DrillPro Commodore on track, especially when they’re trackside at their home event of Townsville. Jones’ Darwin wildcard adds to BJR’s regular three-car fleet for Nick Percat, Tim Slade and Tim Blanchard. The team heads to Hidden Valley with high hopes following a series of strong runs at the high-grip venue in recent visits, including a podium for Percat last year. For 23-year-old Jones, it marks another chance to benchmark himself against the main series regulars. 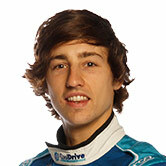 He is the only wildcard in Darwin this year, increasing the challenge for the team and driver on and off track. 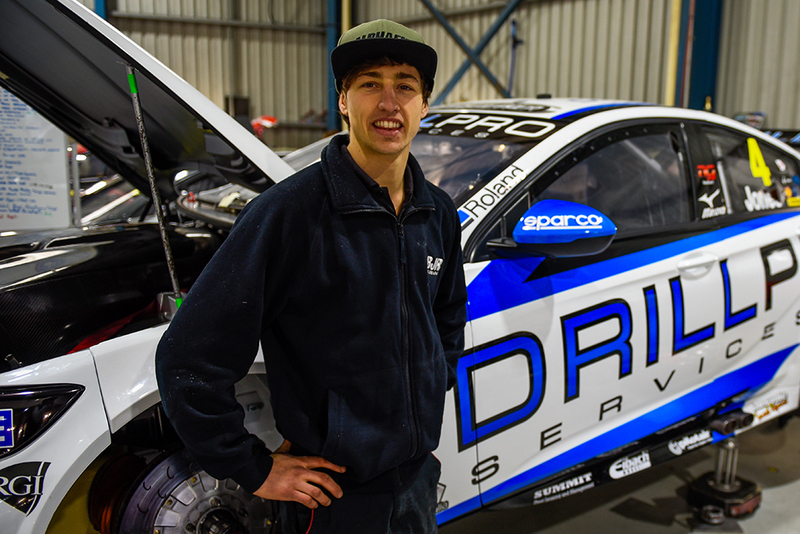 The son of team owner Brad, Macauley is now in his fourth full Super2 season, having debuted in Townsville in 2014. “I’m really pumped to be going racing this week at Hidden Valley,” he said. “Being the lone wildcard, I’ll only be able to gauge how I’m going against the main guys, so it’ll be a little different from my debut here last year. Jones sits fourth in the Super2 standings and, for the second straight year, will pair with Percat in the PIRTEK Enduro Cup.